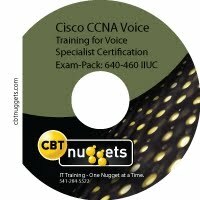 As a final exam preparation tool, the CCNA Voice Quick Reference provides a concise review of all objectives on the new IIUC exam (640-460). This digital Short Cut provides you with detailed, graphical-based information, highlighting only the key topics in cram-style format. With this document as your guide, you will review topics on concepts and commands that apply to Cisco Unified Communications for small and medium-sized businesses. This fact-filled Quick Reference allows you to get all-important information at a glance, helping you focus your study on areas of weakness and enhancing your memory retention of essential exam concepts. *Welcome to VoIP: Voice in a Packet…What’s the Big Deal?